Our Xeodrifter review points out why this is a game you might to pick up – especially if you’re a PS+ user, since the game is free during its launch window. 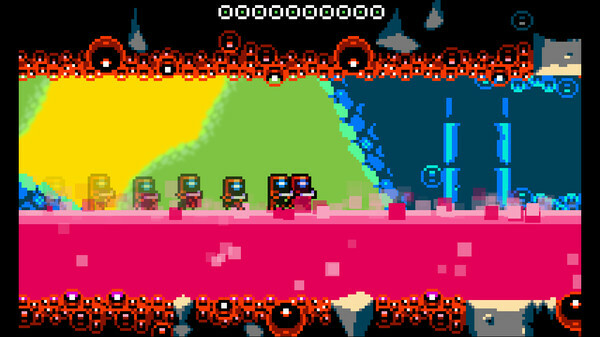 Xeodrifter is the latest multiplatform title by developer Renegade Kid, who previously brought the indie hit Mutant Mudds to the Vita. Their new game also sports a retro-inspired look, but is thematically very different. In Xeodrifter, you play an astronaut who gets stranded in space when his ship is hit by a meteor and loses its warp drive capabilities. You’re in an unknown solar system, but luckily your systems detect that the means to repair your ship are somewhere on the planets that surround you. Over the course of about three to four hours of gameplay time, you’ll be visiting the four planets that make up this solar system. That doesn’t sound like a lot in terms of locations, but the way you explore them is very gradual. On your first visit, you’ll find that a lot of areas are not yet accessible to you. Once you unlock new abilities and items, like a submarine that allows you to traverse water, it’s time to return to familiar locations but venture beyond those obstacles that previously stopped you. This means that there’s a fair amount of backtracking, but the game is well paced so this never feels like much of a drag. Near the end of the game, boss fights, levels and enemies do start feeling a bit repetitive, which is a shame in a game that’s relatively short in length. The semi-open structure where you get to choose in which order you progress on each one of the planets is great though, and so is the art style if you’re a fan of 8/16-bit gaming. Xeodrifter is mainly an homage to the 8-bit area in which similar games like Metroid were introduced, but if you look carefully then there’s a lot more detail in the graphics than you’d see back in those days. While it lasts, the game does serve up some twists in the basic gameplay. Weapons can be upgraded, resulting in different options to take down enemies and bosses. Obstacles can also be overcome by ‘warping’ to a different area, moving forward, and then warping back. 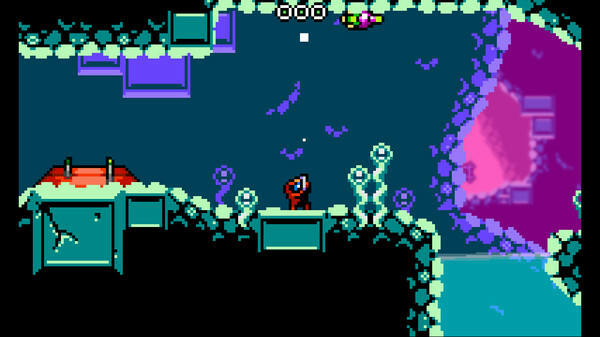 It all adds to the fun experience that Xeodrifter offers, as do the simple but precise controls that are essential in overcoming the game’s sometimes challenging levels and boss fights. With a little more attention and polish this could have been a great little game and indie classic, but getting Xeodrifter still gets you a good retro-styled platform shooter – and it’s free for PS+ users during the first few weeks after its release!